In an April 15, 2015 decision in the case of Erie Ins Exch. v. Lobenthal, 2015 Pa.Super. 78 (Pa. Super. 2015 Ford Elliott, P.J.E., Shogun, Musmanno, J.J.)(Op. by Ford Elliott, P.J.E. ), the Pennsylvania Superior Court addressed the validity of a reservation of rights letter issued by the carrier to its insured defendant in a motor vehicle accident matter. According to the opinion, the carrier insured the defendant driver's parents but the defendant driver was also an insured by virtue of the fact that the defendant driver resided with her parents. The defendant driver was involved in a motor vehicle accident while she was allegedly driving under the influence. At some point after the accident, a reservation of rights letter, raising certain coverage issues was sent to the parents only. After the underlying personal injury suit was filed by the allegedly injured plaintiff against the parents, as owners of the vehicle, and the defendant driver-daughter, the parents filed preliminary objections and were dismissed from the matter. Thereafter, about three and a half months after that dismissal of the parent defendants, and about seven months after the filing of the Complaint, the liability carrier issued a reservation of rights letter to the lawyer of the defendant driver daughter. In this separate declaratory judgment action, the parties were seeking a judicial declaration on whether the liability carrier was required to defend or indemnify the defendant daughter driver in the underlying action based upon the application of certain exclusions in the liability policy. 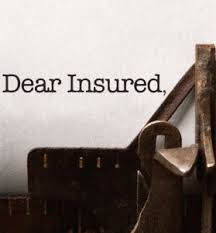 The main issue before the trial court was whether, after tendering a defense for the insured defendant driver, the liability carrier ever properly preserved its right to challenge coverage and deny a defense to its insured in the reservation of rights letters the carrier sent out. The trial court granted the carrier's disclaimer of coverage with respect to the defendant driver on the basis of a "controlled substances" exclusion contained in the policy. The insured defendant driver and the underlying plaintiff appealed that decision to the Superior Court. The Superior Court reversed the trial court and held that liability coverage should be afforded by the carrier to the defendant driver because carrier did not reserves its rights properly and waited too long to reserve its rights and disclaim coverage for the driver. The Court noted that the reservation of right letter to the defendant driver was only addressed to the parent named insureds and not the daughter driver. Accordingly, the Court found that that letter did not properly notify the daughter of the reservation of the rights to the claim against her. The Superior Court also ruled that the fact that the reservation of rights letter was sent to the defendant driver's counsel did not serve to impute notice to the insured. The court also found that the reservation of rights letter which was not sent to the defendant driver until seven months after the filing of the Complaint was not timely. The appellate court rejected the liability carrier's argument that there was no prejudice to the defendant driver with respect to the timeliness of the reservation of rights letter given the fact that the defendant driver was defended by assigned counsel all the while. The court noted that Pennsylvania law allows for prejudice to the insured defendant may be presumed in these circumstances where a liability carrier allegedly fails to issue a timely reservation of rights letter. For these primary reasons, the Superior Court reversed the trial court's ruling in favor of the liability carrier's disclaimer of coverage for the defendant driver.